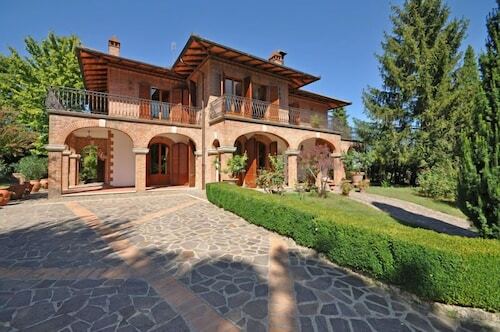 Situated in Montepulciano, this villa is 0.1 mi (0.1 km) from Val di Chiana and 3.1 mi (4.9 km) from Church of St. Agnes. Colonna del Marzocco and Palazzo Avignonesi are also within 6 mi (10 km). 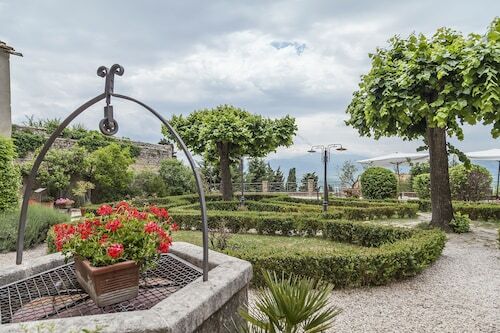 Situated in a rural location, this villa is 1.7 mi (2.7 km) from Abbazia di Sant'Antimo and within 20 mi (32 km) of Baths of San Filippo and Palazzo Piccolomini. Piazza Pio II and Pienza Cathedral are also within 20 mi (32 km). 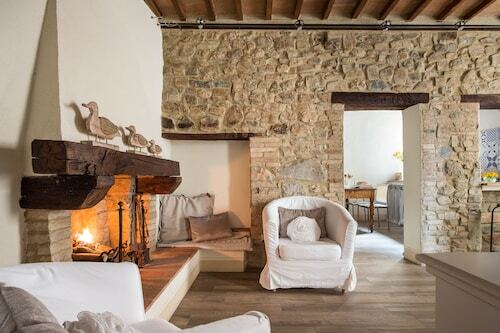 Situated in Monteroni d'Arbia, this romantic villa is 4.9 mi (7.9 km) from Val di Merse and within 12 mi (20 km) of Siena Cathedral and Piazza del Campo. University of Siena and Fontebranda are also within 12 mi (20 km). Situated in Montalcino, this villa is within 9 mi (15 km) of Fortress of Montalcino, Civic and Diocesan Museum of Sacred Art of Montalcino, and Poggio Antico. Abbazia di Sant'Antimo and Museum of Brunello are also within 12 mi (20 km). 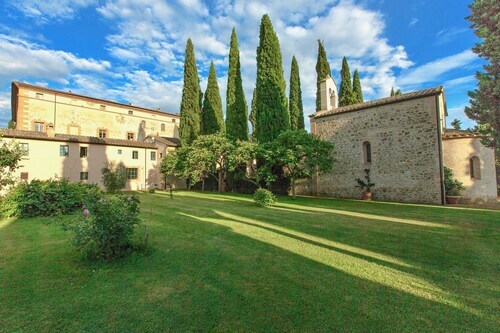 Situated in San Quirico d'Orcia, this villa is within a 10-minute walk of Horti Leonini, Palazzo Chigi, and Collegiate Church of San Quirico. Chapel of our Lady of Vitaleta is 1.7 mi (2.8 km) away. 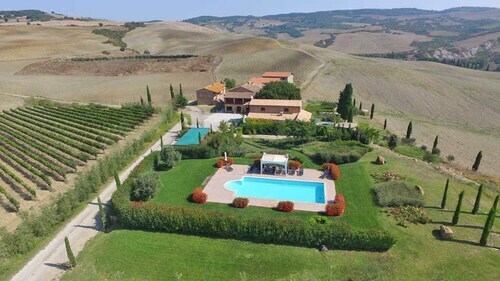 Situated in Torrita di Siena, this villa is 0.1 mi (0.1 km) from Val di Chiana and within 6 mi (10 km) of Golf Club Valdichiana and Valdichiana Outlet Village. Church of St. Agnes and Colonna del Marzocco are also within 6 mi (10 km). Torrita di Siena Station is 18 minutes by foot. 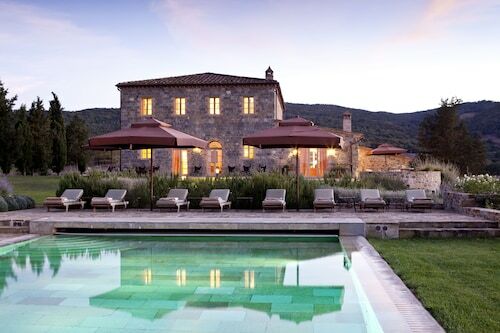 Situated in Pienza, this villa is within 9 mi (15 km) of Piazza delle Sorgenti, La Foce, and Pieve di Corsignano. Palazzo Piccolomini and Piazza Pio II are also within 9 mi (15 km). Situated by the ocean, this historic property is 0.8 mi (1.2 km) from Museum of Brunello and within 3 mi (5 km) of Fortress of Montalcino and Civic and Diocesan Museum of Sacred Art of Montalcino. Abbazia di Sant'Antimo and Poggio Antico are also within 6 mi (10 km). 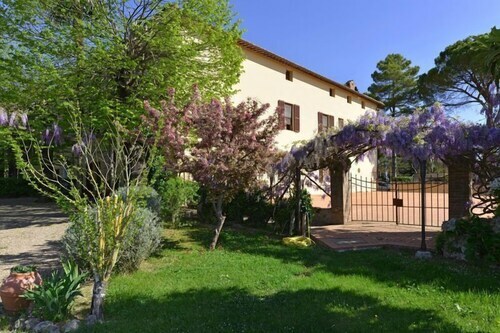 Situated in a rural location, this villa is 2.6 mi (4.2 km) from Garden of Daniel Spoerri and within 9 mi (15 km) of Mount Amiata Fauna Park and Castle Arcidosso. 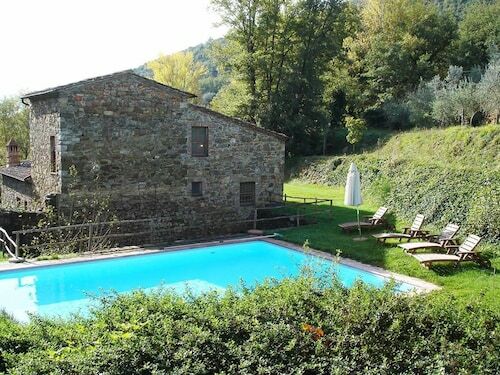 Abbazia di Sant'Antimo and Parco Piscine Capenti Outdoor Pool are also within 9 mi (15 km). 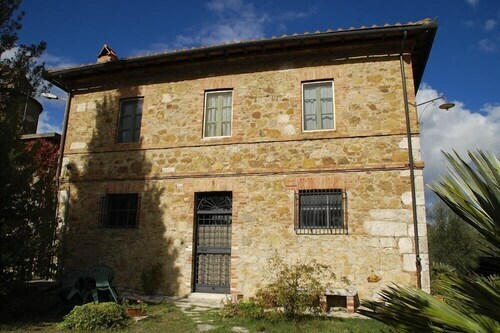 Situated in Asciano, this property is 1.9 mi (3.1 km) from Museo dell'Antica Grancia e dell'Olio and within 6 mi (10 km) of Crete Senesi and Pieve Romanica di San Vittore Church. San Giovanni Terme Rapolano and Terme Antica Querciolaia are also within 6 mi (10 km). Situated in Roccastrada, this property is 8.3 mi (13.4 km) from Val di Merse and within 16 mi (25 km) of Terme Petriolo and Baluardo a tre punte. Torre del Belvedere and Vetulonia Ruins are also within 20 mi (32 km). 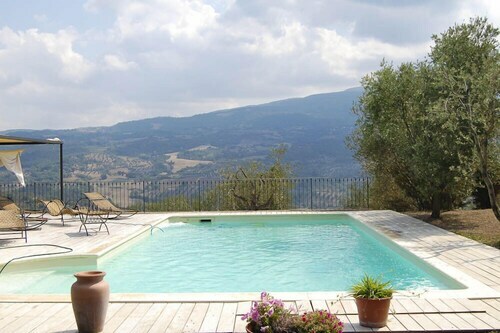 This can be your life if you rent a villa in Castelnuovo dell'Abate. Once upon a time, villas were huge Roman buildings owned by the wealthiest citizens. These days, you can still find palatial villas—but there’s smaller, cozier options to choose from as well. What makes villas so special? First, they offer you and your travel group privacy and space. After a long day of exploring Castelnuovo dell'Abate, a villa truly becomes your home away from home. Lay down in one of the bedrooms for a midday catnap, then make use of the fully stocked kitchen and craft a culinary masterpiece to serve up on the private patio. Your companions will be talking about it for years to come. Do you want to really treat yourself during your time in Castelnuovo dell'Abate? Go for it. Luxury villas will make you feel like a million bucks as you sip champagne on a balcony, or cozy up with your someone special and take in the classy artwork. Put that big marble tub to good use. The more fragrant bath salts, the merrier! At Travelocity, we offer the vacation villa options you want, with a number of villas available for rent in Castelnuovo dell'Abate. Get the most out of your time in this fascinating city, wise wanderer, and browse our available villas today.